Alice will be hosting sessions for participation and as demonstrations as she takes time to experiment with developing her work. 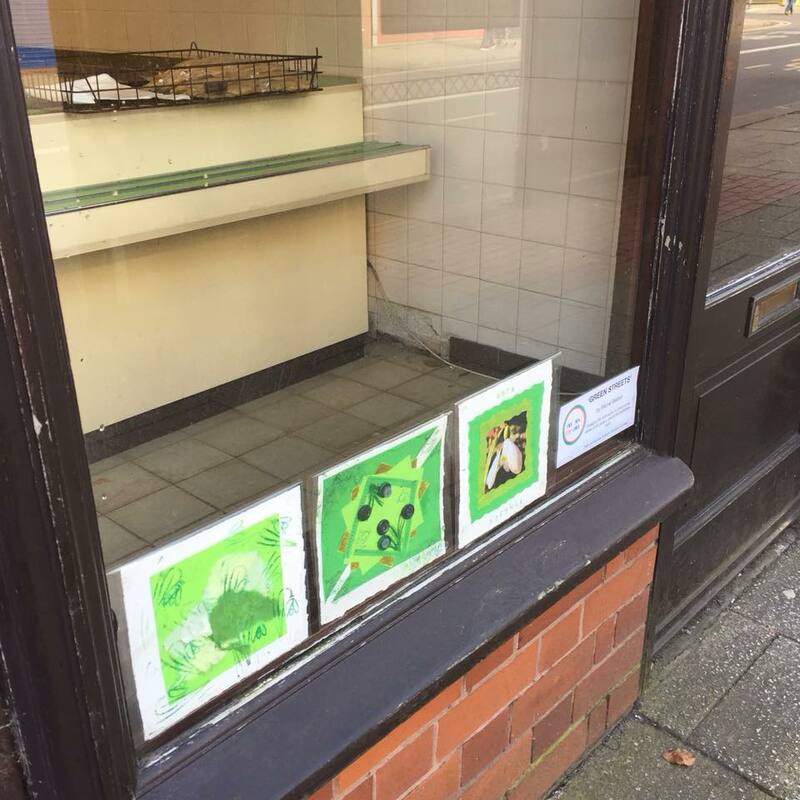 During Spring and Summer artists Rachel Ballard and Anne Kinnaird will be brightening up the streets of Stoke with their Greening Church Street Project as part of the national Grow Wild project. Keep an eye on Facebook and Twitter for news of workshops and events you can join in with. 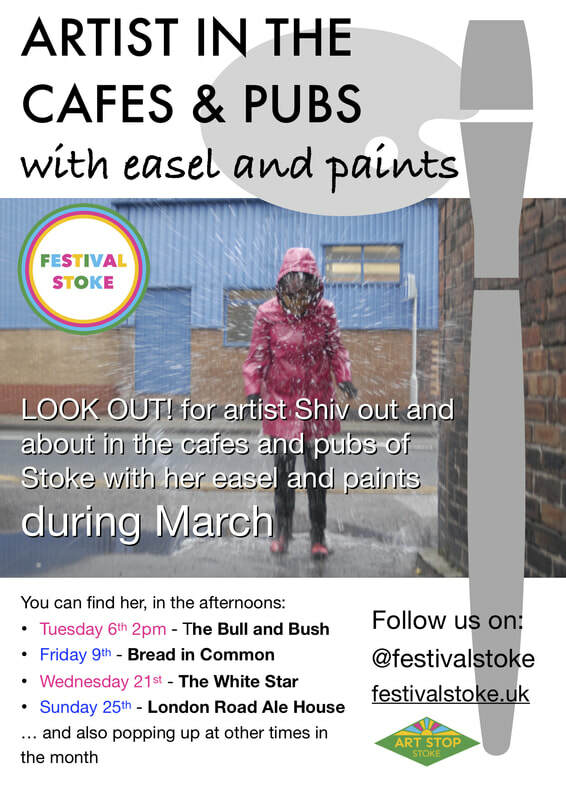 During March 2018 artist Shiv will be out and about in Stoke with her easel and paints. You can find her at the cafes and pubs listed below and keep an eye on our Facebook page for more venues. 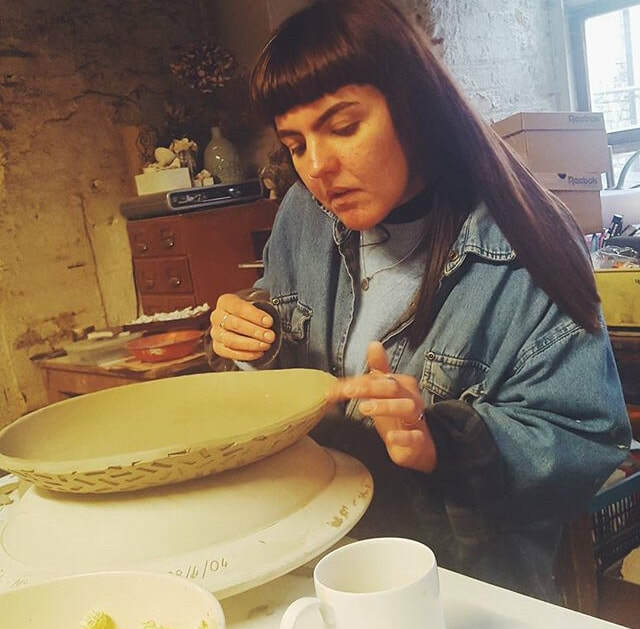 Join artist Rachel Ballard at one of our free workshops during February. 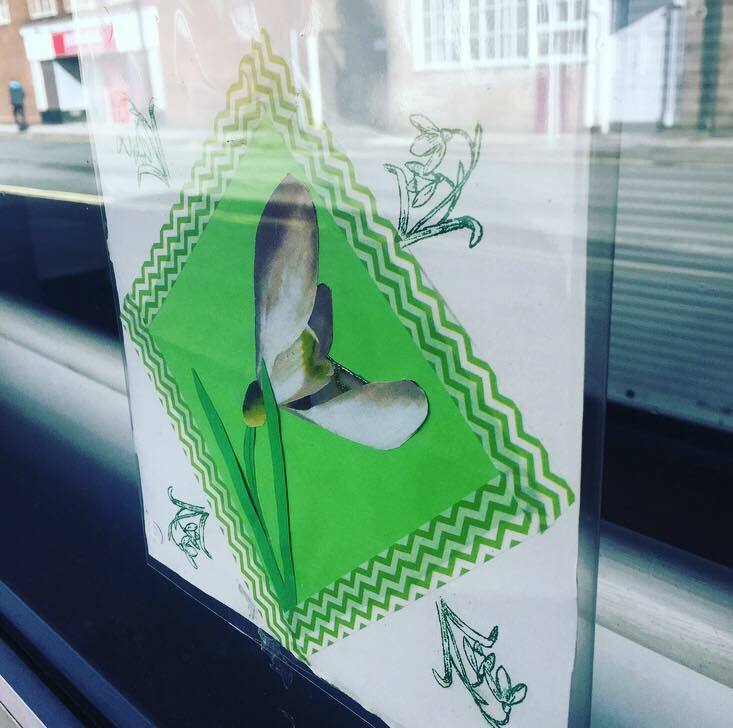 Using the snowdrop, one of the first flowers of spring, as a motif to make a collage about growth, new beginnings and renewal. 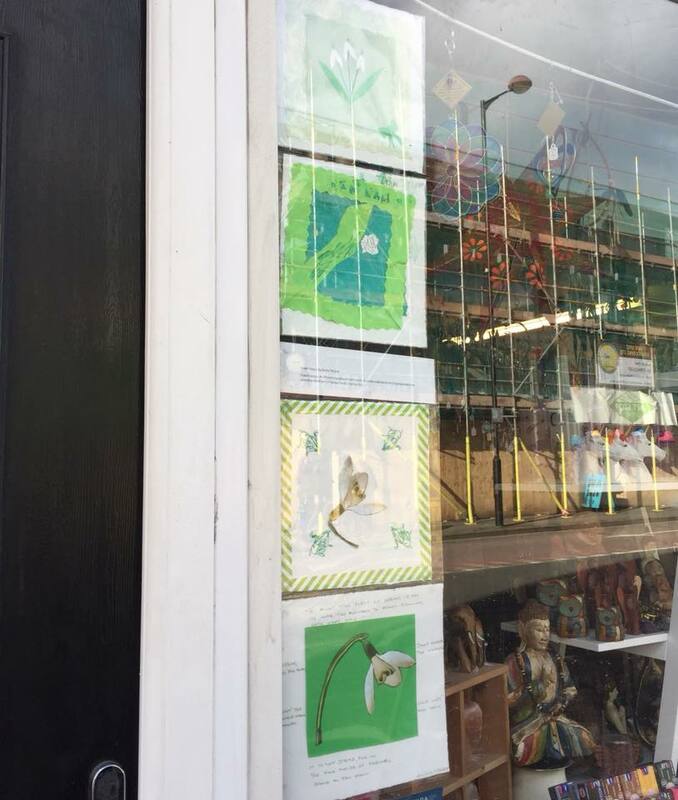 The art works produced will then be exhibited around Stoke to in shop window to brighten the month of February. 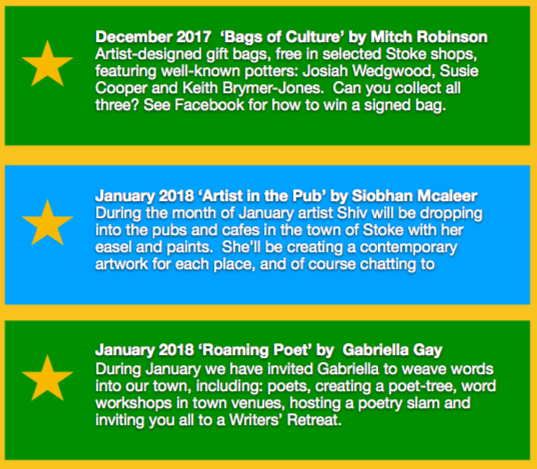 ​Thinking about what the future holds and our own resilience to hardship these free drop in creative workshops will give time to explore hopes for what this year will bring. 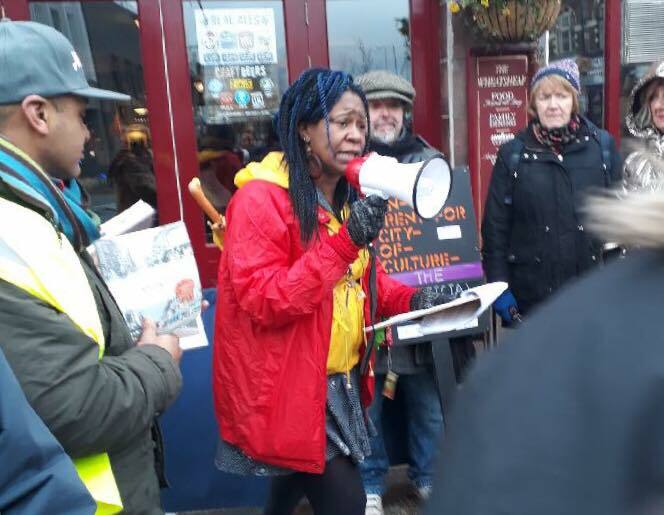 During January poet GKA Gay and the Roaming Poets will be weaving words into the everyday life of Stoke centre. 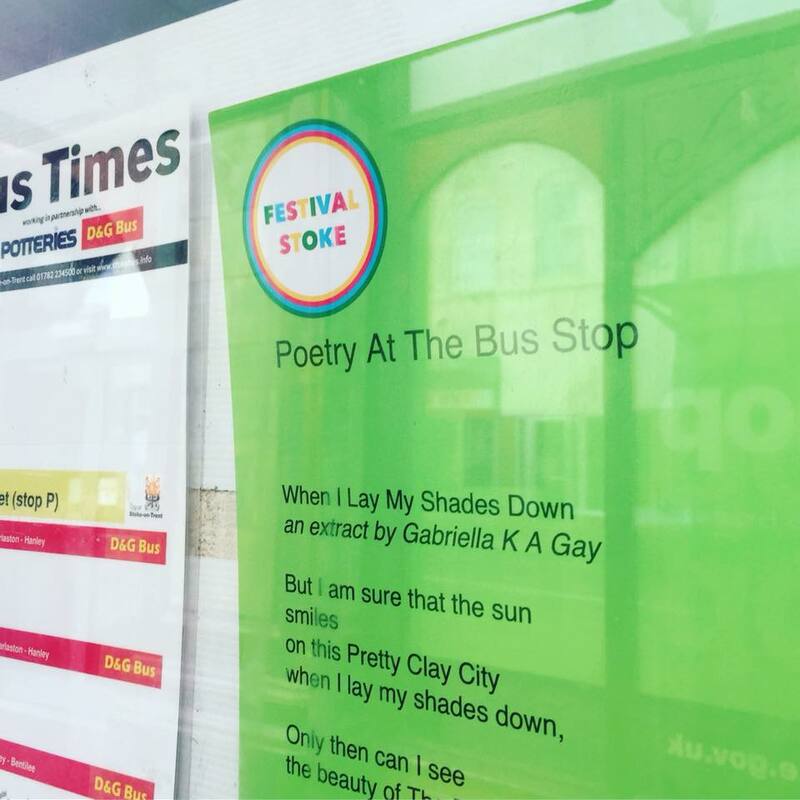 Take a look into the bus shelters in Church Street and Campbell Place to find inspiring poems. 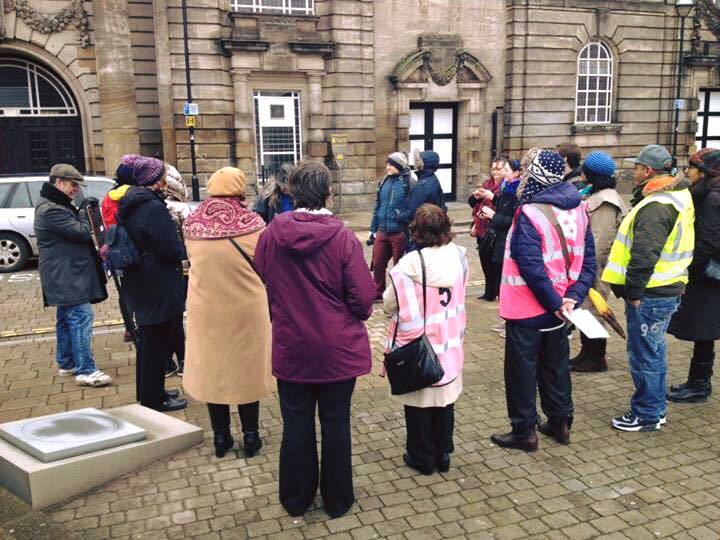 A short walking tour taking in some of the interesting facts (and maybe some fiction) from the streets of Stoke. 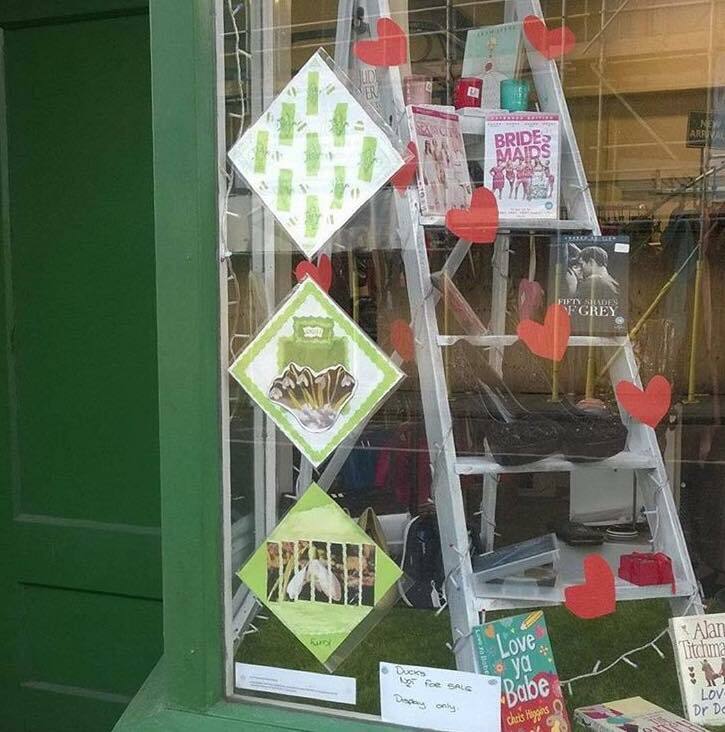 Poetry Dresses Exhibition at Valentine's Curious Closet, Church Street. Open 1am - 2pm Tuesdays and Saturdays throughout January. An exhibition of dresses created throught the project by Leah Thorn and Keele University and local artists to create beautiful dresses with poetry woven into them. (See Older Women Rock for more information about how the dresses were created). For our December Festival Echo - Artist Mitchell has designed and created these beautiful gift bags, using Lino-cuts, featuring well-known potters across the eras: Josiah Wedgwood, Susie Cooper and Keith Brymer-Jones. 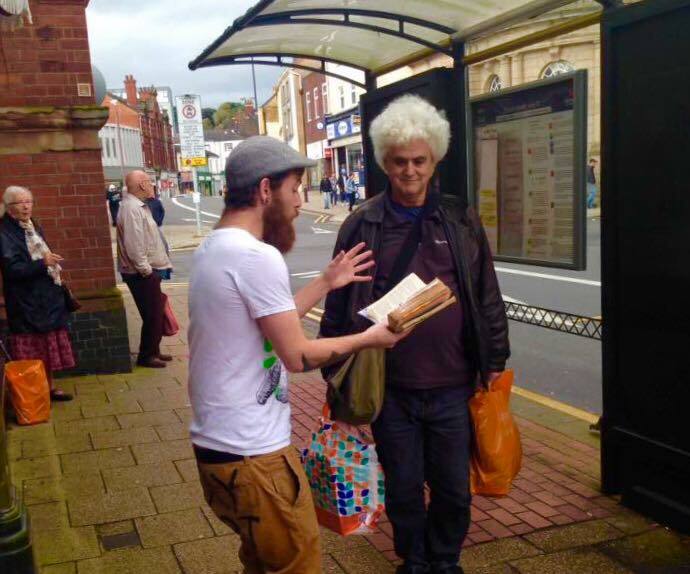 They are available with your purchases in selected local shops around the town centre of Stoke*. Can you collect all three? ​See Facebook for more details and to win a signed bag. 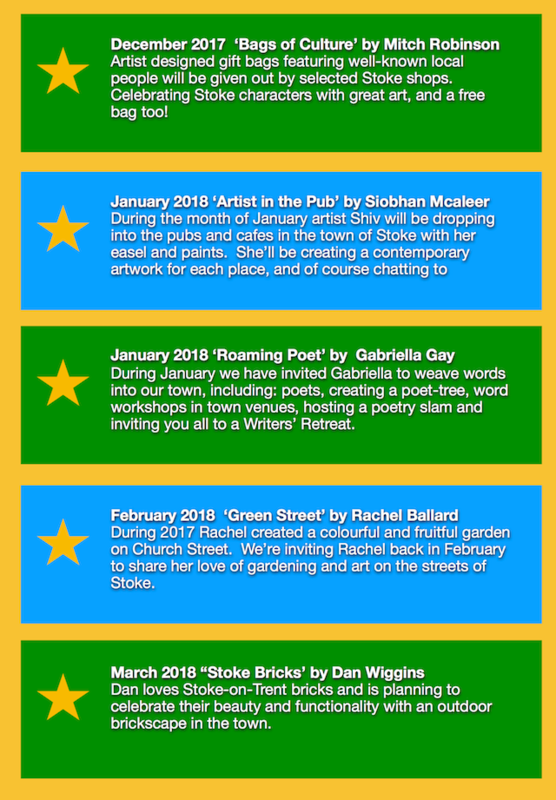 Artist Rebecca Davies is creating a pop-up cinema on Church Street Stoke, over the weekend of 24-26 November 2017. 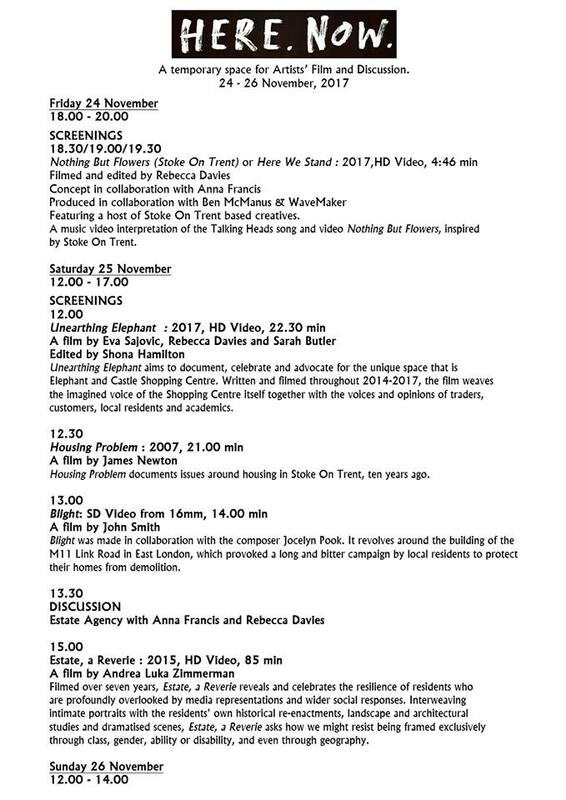 Showing a selection of independent films, Rebecca has also reworked 'Everything but Flowers' by Talking Heads, especially for Stoke-on-Trent. Featuring local artists and filmed in the atmospheric former Spode Pottery board room. The film will be shown at the end of November as part of Rebecca's #monthlymatics programme. 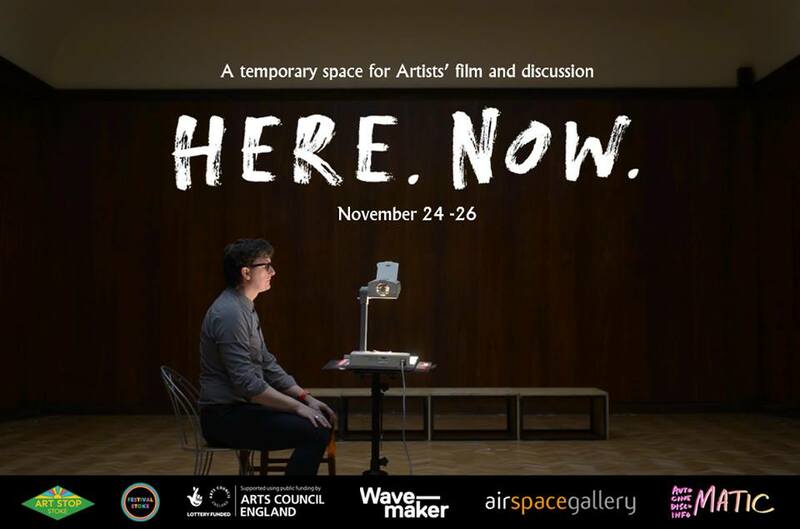 In a pop-up cinema space in Stoke town centre at the end of November 2017. 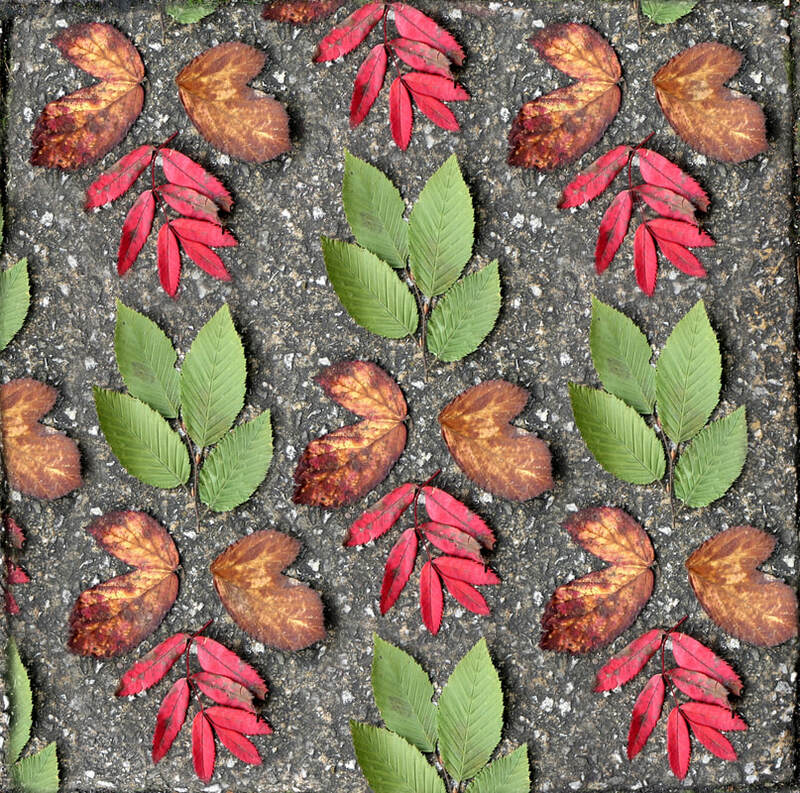 Photographer Polly Shave has installed echoes of autumn on the pavements outside Stoke Minster with her beautiful leaf patterns. Art merges with nature.